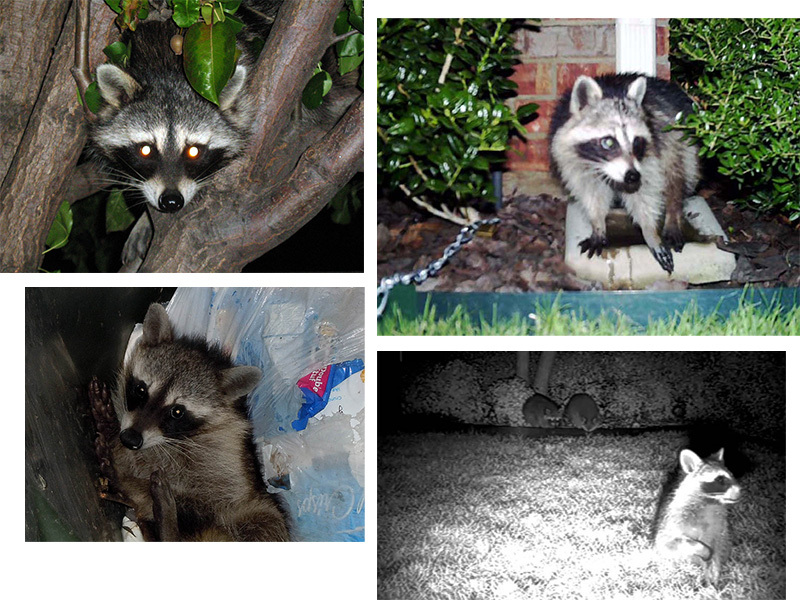 I’ve been documenting the diversity of DFW Urban Wildlife on the pages of this website for just around 15 years now. In all that time I have somehow never had the occasion to do what is perhaps the most obvious of all wildlife surveys—a detailed inventory of the critters living in my very own front yard. Fortunately—and maybe not surprisingly—over the years I HAVE taken an abundance of photographs in my neighborhood and around my home. It couldn’t be helped. That’s just what I do. Recently, I was thumbing through some of these old photos, and it occurred to me that it might be instructive and fun to draw up an informal ledger of all the wildlife I’ve found in my own yard over the past decade and a half. That simple, off-the-cuff thought was the genesis of this little article. 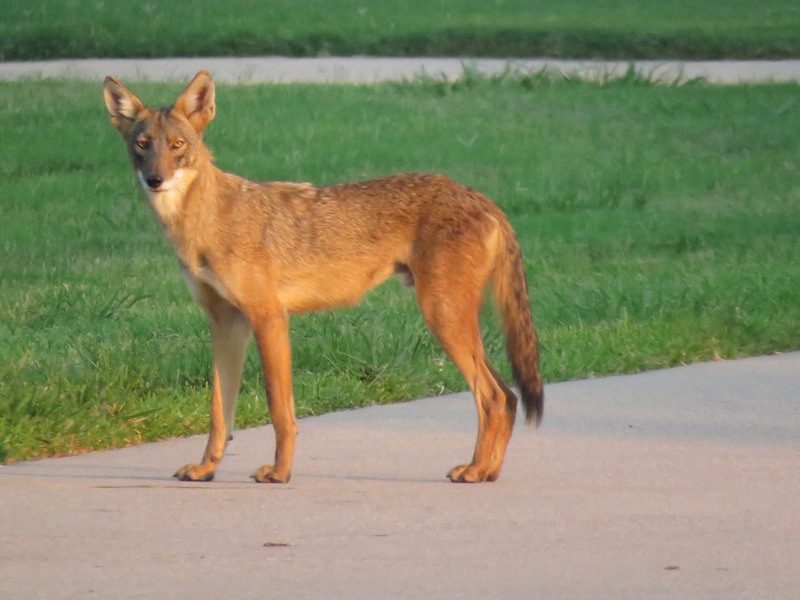 The list I’ve compiled here is certainly not comprehensive, but it should provide a good representation of the types of wildlife that are likely to be encountered in an ordinary North Texas yard. Before I begin, though, I’d like to emphasize the point that there is nothing remarkable about my yard or neighborhood. 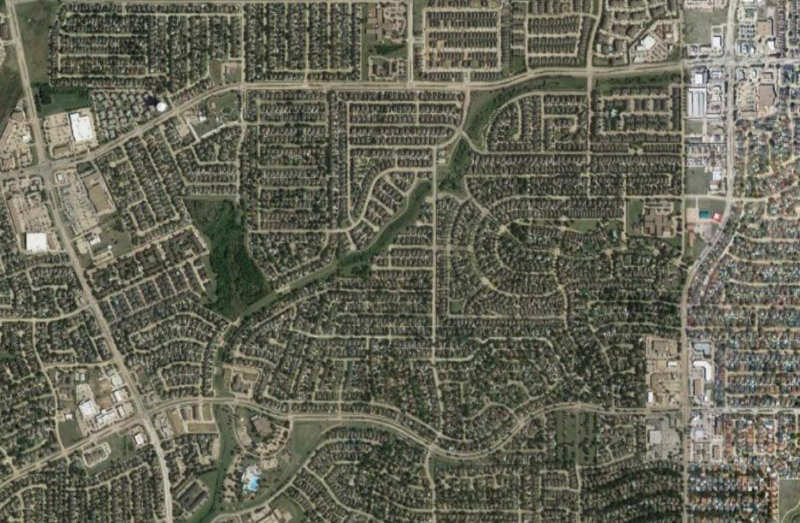 Both are extremely typical of suburban neighborhoods all across the Metroplex. The wildlife that I have observed in and around my yard, very likely will be found in your North Texas yard as well. 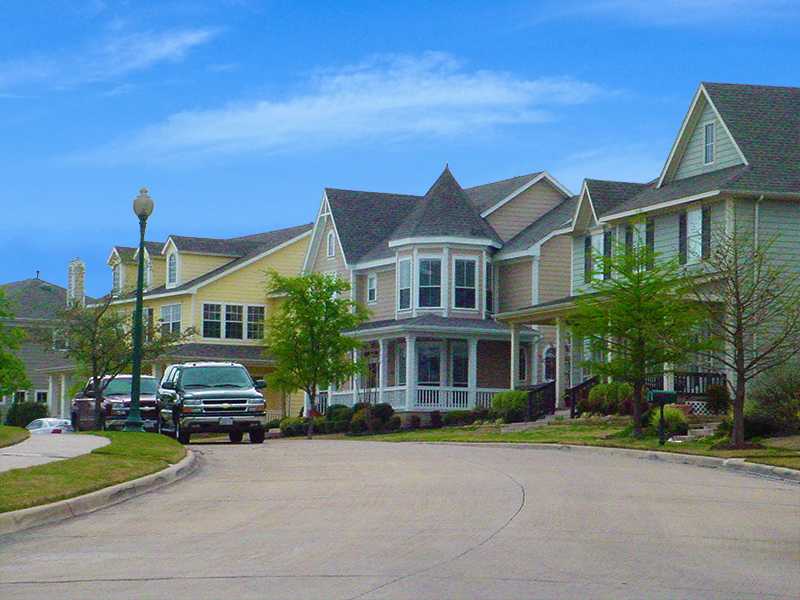 The area around our neighborhood is almost completely built out. 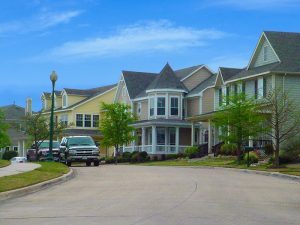 There are houses everywhere, with businesses located on the nearby major intersections. A little greenbelt park—complete with nice little creek—bisects the community. This limited strip of nature likely acts as a corridor and refuge for some of the wildlife pictured in this article. The first indication that we might have an interesting wildlife situation in our neighborhood occurred shortly after we moved in. One evening I stepped outside for my nightly jog, and I was surprised to find this intrepid juvenile Raccoon perched in one of my window sills. A juvenile Raccoon feeling cornered on a window ledge. This little Raccoon is roughly two months old in this picture. It seems that for some reason this youngster was on his own at an earlier age than what is ordinary. But even without his mother, this Raccoon was doing just fine. He visited our front porch again and again with some regularity over the next several months, before maturation urged him to move on. 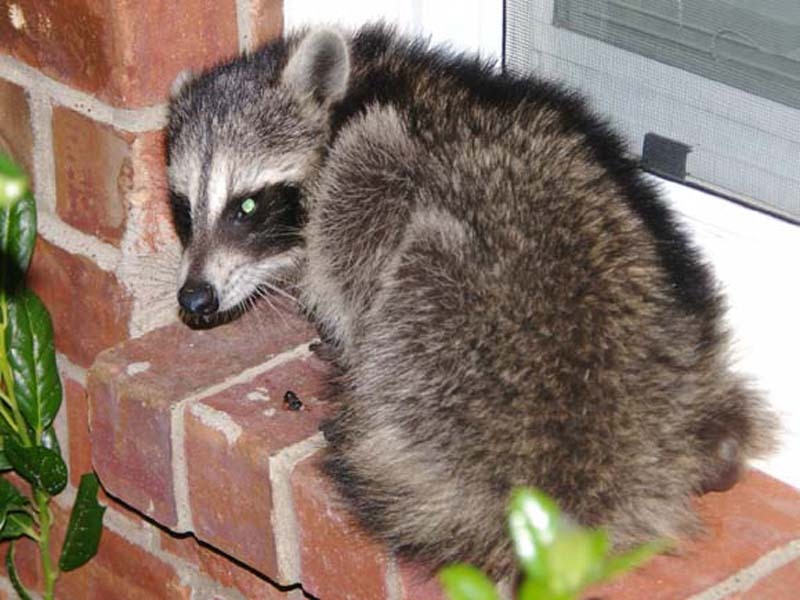 It was a couple of years later when a neighbor stopped me out by the sidewalk to let me know that he had seen several baby Raccoons on my front porch the night before. Oh boy, I thought, here we go again! Whoops! Those are not Raccoons! Momma Striped Skunk had constructed a den under our front walkway and raised a litter. Her babies were now old enough to start exploring their immediate surroundings. The skunk family stuck around for about one more week, and then we never saw them again. The den was expeditiously back-filled just as soon as we were sure it had been vacated! 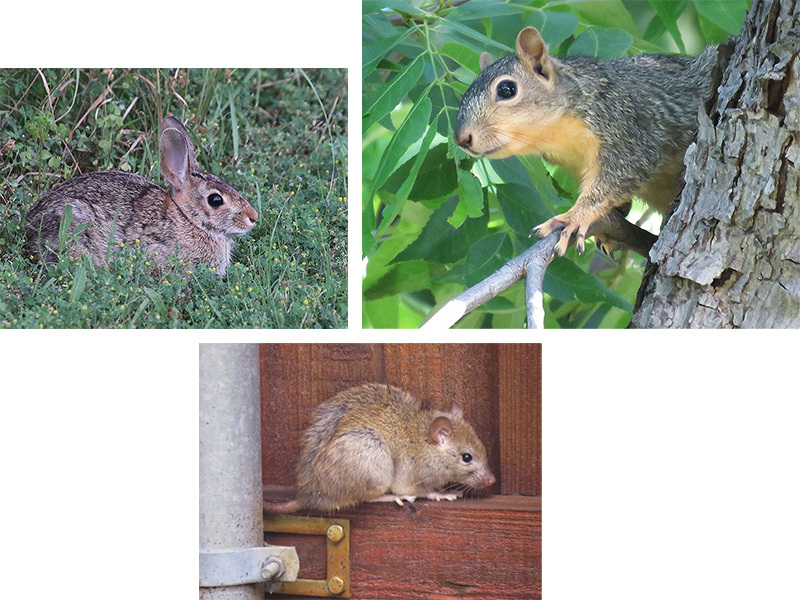 Of course, our yard is also home to a couple of the most common small mammals found in North Texas—the Eastern Cottontail and the Fox Squirrel. Also present in our yard—and most every other suburban yard in the metroplex—is the ubiquitous Norway Rat. These guys are inclined to come out only under the cover of darkness, so they are rarely seen. There are many more rats in our neighborhoods than we might prefer to know about. Some things are better left a mystery. Rabbits, squirrels, and rats play an important part in the suburban ecosystem. They are a key reason, predators like Bobcats, Coyotes, hawks, and owls can call our neighborhoods home. We will touch on that more later. First, lets take a look at a slightly unusual Fox Squirrel that spent a few years in our neighborhood, visiting my yard from time to time. This is a squirrel with a genetic condition known as piebaldism. 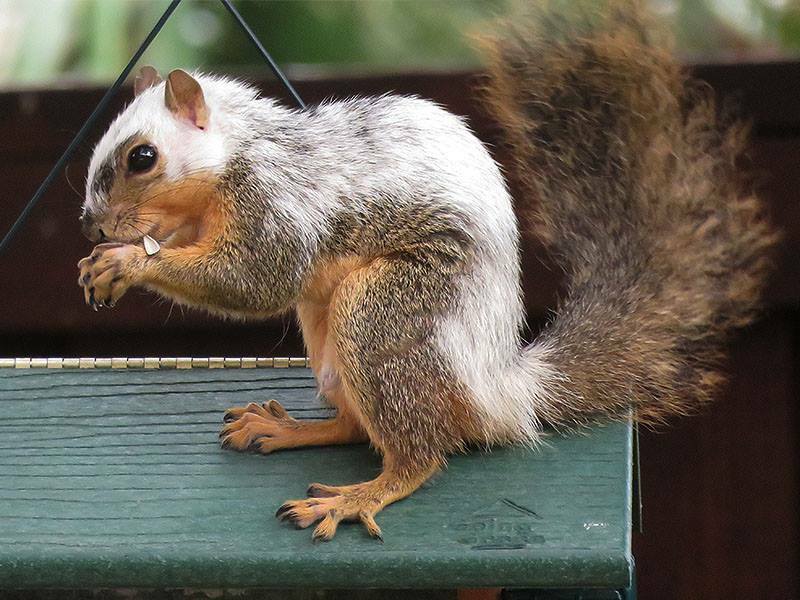 He has areas of normal Fox Squirrel coloration mixed with large patches of pure white fur. This condition appears in the North Texas squirrel population only very occasionally. It’s a special occurrence to see one. Small mammals like rabbits, squirrels, and rats are able to leverage the abundance humans surround themselves with, and use it to their advantage. Trees full of acorns, lawns of rich green grass, and ready water supplies all guarantee the well-being of these creatures. And a healthy small mammal population means our medium-sized and adaptable predators won’t be far behind. A Coyote passing through at sunset. 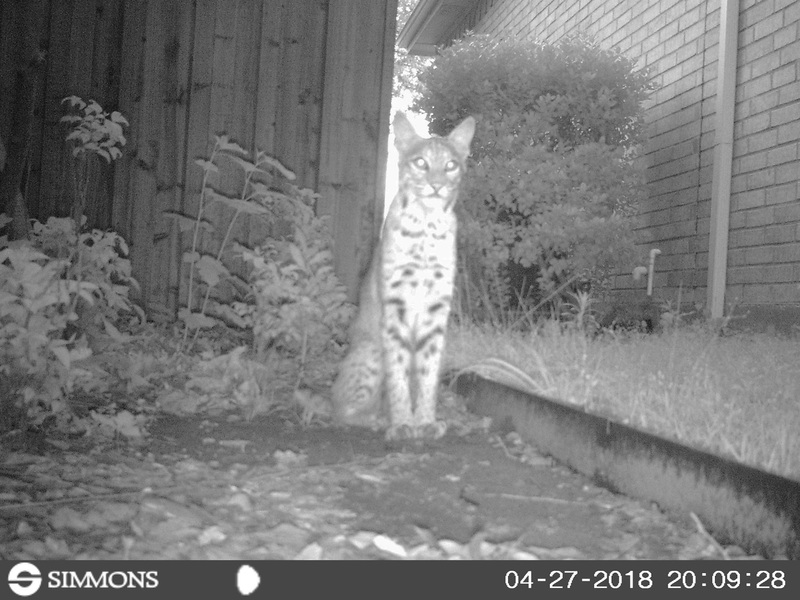 A Bobcat at night, captured on a trail camera. Another group of important prey animals living with us readily in suburbia are several birds in the dove family. 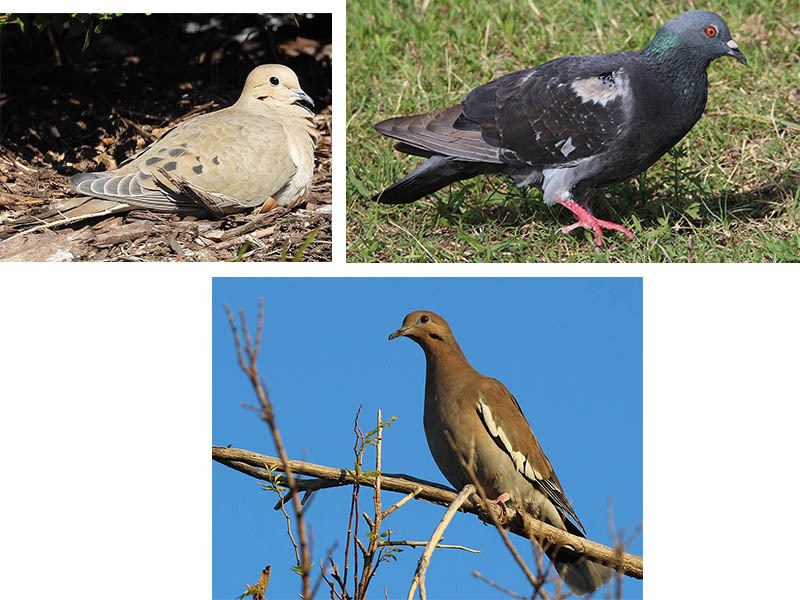 Here in the North Texas, the most common are the Mourning Dove, the White-winged Dove, and the Rock Dove—also known as the Feral Pigeon. 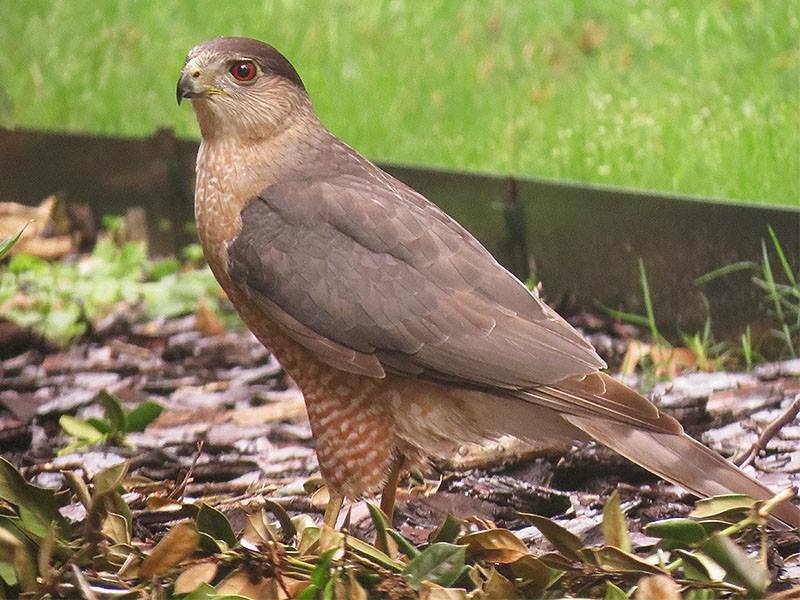 All three have made appearances in my yard, and as might be expected, predators—including birds of prey—followed. We’ve noted a couple of different kinds of birds of prey in our yard over the years. 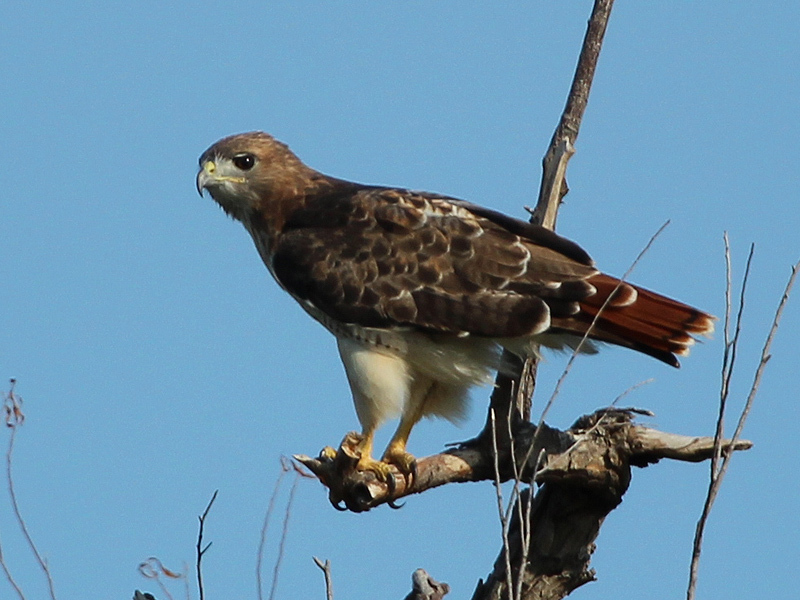 The all-time generalist–the Red-tailed Hawk–stops by often. These highly adaptable raptors do very well in urban and suburban areas. 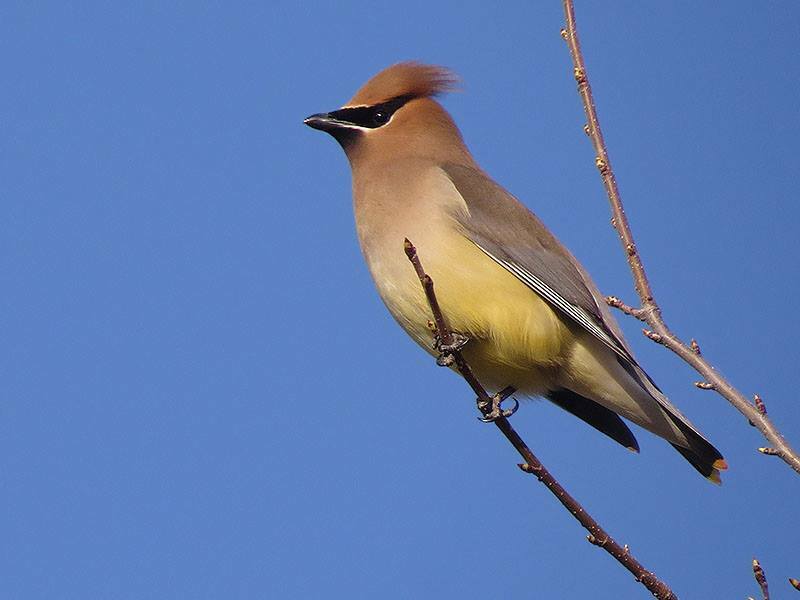 They are very common throughout the Metroplex, and in winter—when northern birds migrate into the area—their numbers go up substantially. 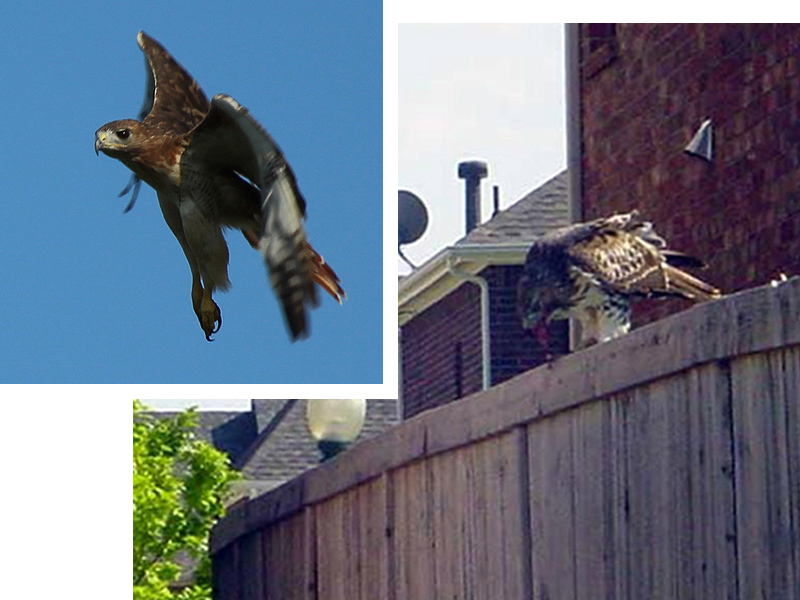 A Red-tailed Hawk in flight, and another feeding on a juvenile Eastern Cottontail while perched on a fence top. Another species of hawk that is very common in North Texas—and one that has appeared in my yard on numerous occasions—is the aerobatic Cooper’s Hawk. These sleek raptors are slightly smaller than Red-tailed Hawks, and can be distinguished from the later by their long striped tails and slate gray coloration. Cooper’s Hawks prey primarily on other, smaller birds. That means, that if you have a bird feeder in your yard, you likely have attracted a Cooper’s Hawk or two in addition to the song birds and doves you were expecting. 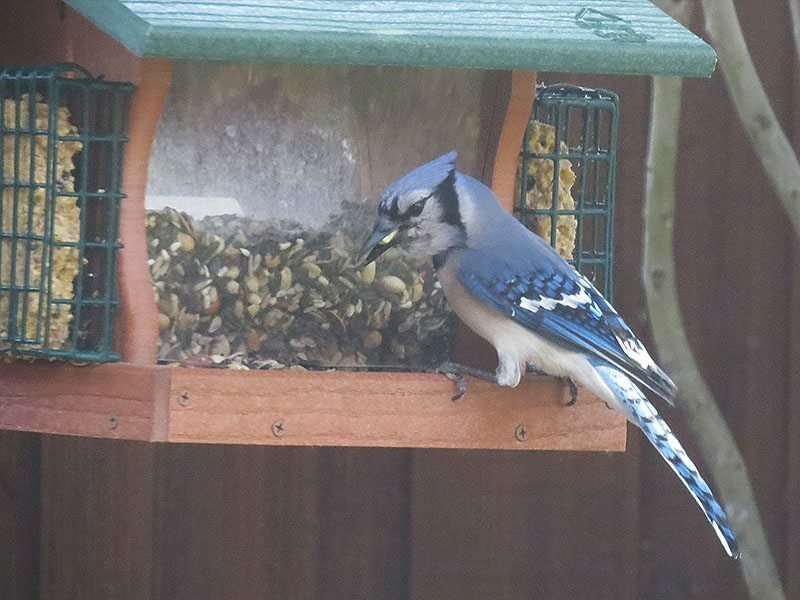 Watch for them to perch in a discreet location where they can keep a close eye on the feathered traffic coming to and from your bird feeder! 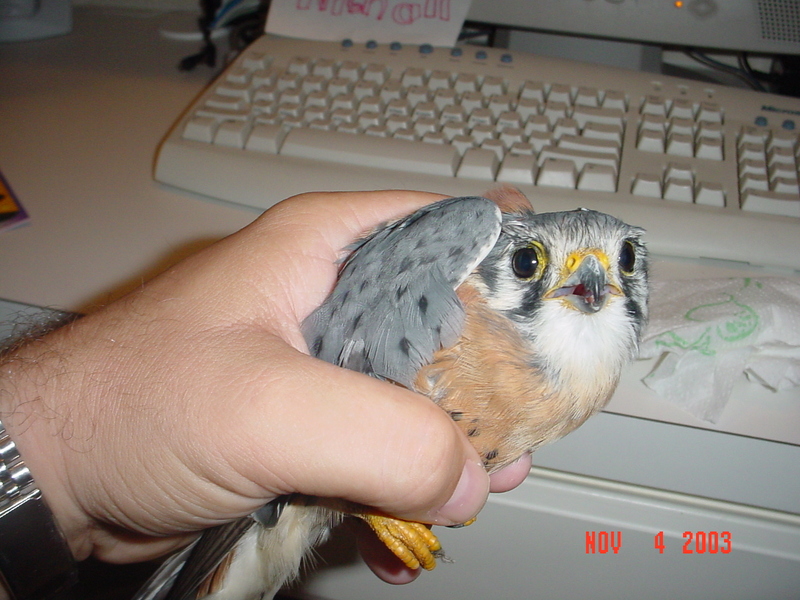 There is another little raptor that can be found in our DFW neighborhoods—the diminutive American Kestrel. 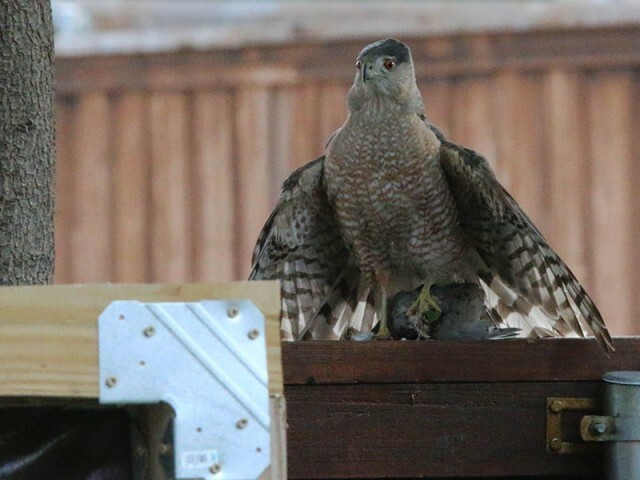 This small falcon is roughly the size of a Blue Jay or Mourning Dove, and has a beautiful plumage of slate gray, orange, yellow, black, white. We had our first encounter with a kestrel shortly after we moved in to our new home, when this wayward falcon collided with a widow pane and knocked himself silly. The impact had left the kestrel unable to fly, and it was an easy matter to simply scoop him up (though he did manage a pretty nasty bite on the webbing between my index and thumb—ouch). We brought the stunned bird inside the house and placed him in a box while we tried to figure out what to do to help him. Before we could make much progress, the little kestrel began to make it clear he was feeling better and ready to go. We opened the box in the backyard, and away he went, apparently none the worse for wear. Late one evening, and well after dark, the family and I were watching TV in the den. Over time, a soft and regular hooting sound began to register in my ears. Was it part of the TV show we were watching, or something else? I asked my kids if they could hear it, and after a concerted effort to focus, they agreed that they could. Inspired, I got up and poked by head out the back door. There on top of the neighbor’s chimney, and silhouetted clearly against the sky glow was a magnificent and noisy Great Horned Owl. My curiosity satisfied, I slipped back inside so not to disturb the big bird. 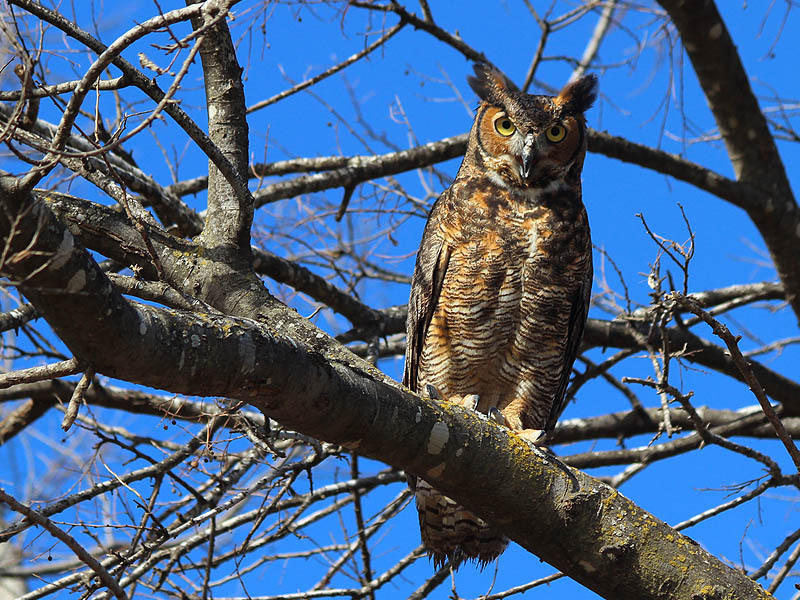 The Great Horned Owl did his part and serenaded us for nearly an hour more. There is another species of owl that finds its way into my yard from time to time. Meet the Eastern Screech Owl—a perennial favorite. This small and charming owl is about the size of a man’s hand, with the fingers held extended and together. These owls don’t hoot in the traditional sense, instead the Eastern Screech Owl’s call is a lovely and unmistakable trill. 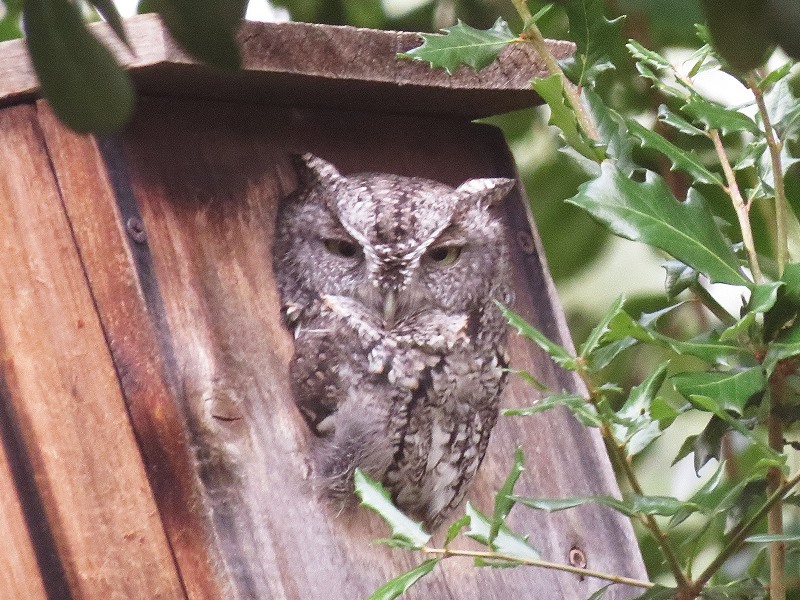 The screech owl in the picture above came into our yard a few years ago. He briefly considered nesting in a low hanging kestrel box I had installed haphazardly to cover the scab left by a broken branch. Ultimately, the bird box did not meet the owl’s needs. He moved on about a week later, but it was a thrill to have him around while it lasted! 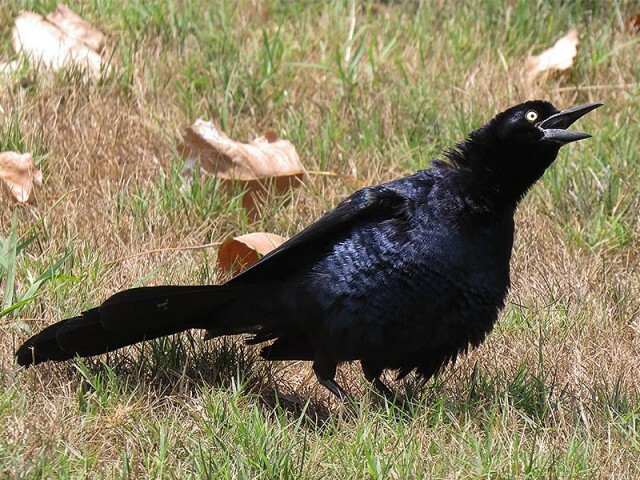 Owl and hawks have an avian nemesis—the American Crow. 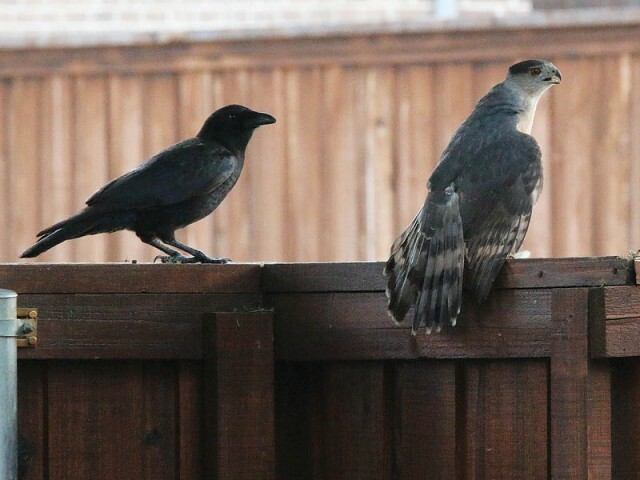 Most neighborhoods in North Texas have a resident murder of crows, and ours is no different. Several times a day you might notice them as they make their rounds through the subdivision. 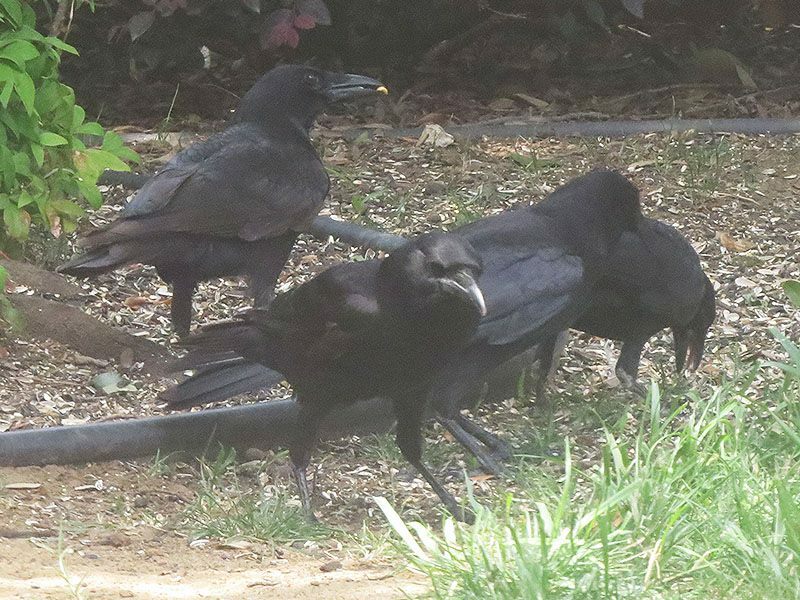 Crows are intelligent and tribal birds, and they have a distinct dislike for predators. If you hear your resident crows making a ruckus, its likely that they have spotted some variety of carnivore slinking through the neighborhood. House Cats and Bobcats almost always elicit an angry reaction from crows, buts it’s bird of prey they really hate. Owls and hawks earn the ire of crows, who will “mob” them relentlessly, attempting to drive them away. If the hawk or owl happens to have a recently captured prey animal, so much the more. The crows will really pour it on. Uh oh. 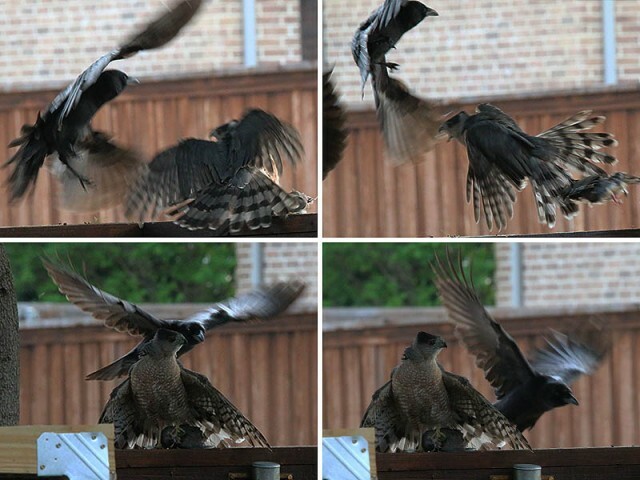 Now you’ve done it, Mr Cooper’s Hawk! Closely related to crows, and similarly inclined to take on raptors (and other predators), is the attractive and engaging Blue Jay. 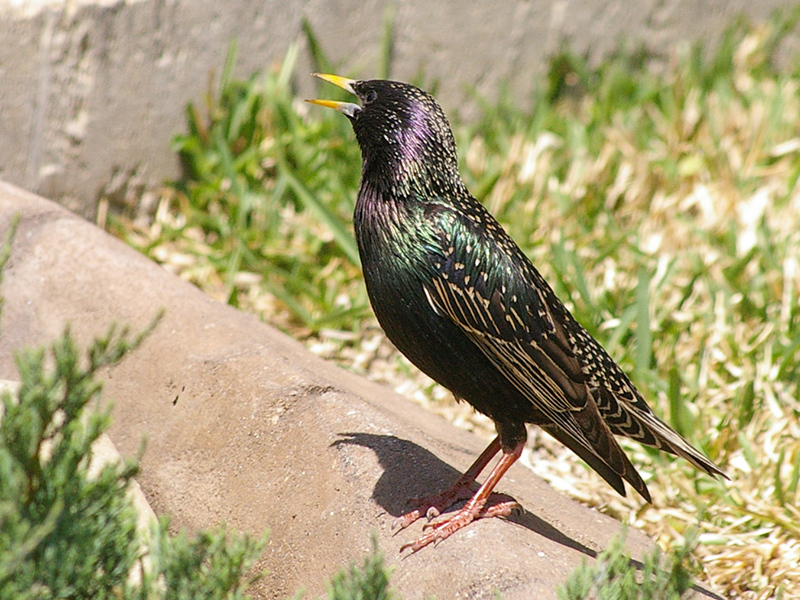 These birds are slightly smaller than crows, but just as brainy and clever. 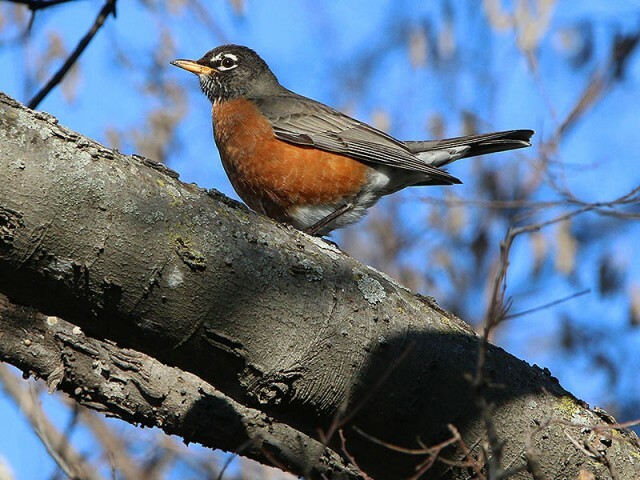 These birds can be found any North Texas yard with mature trees and landscaping. 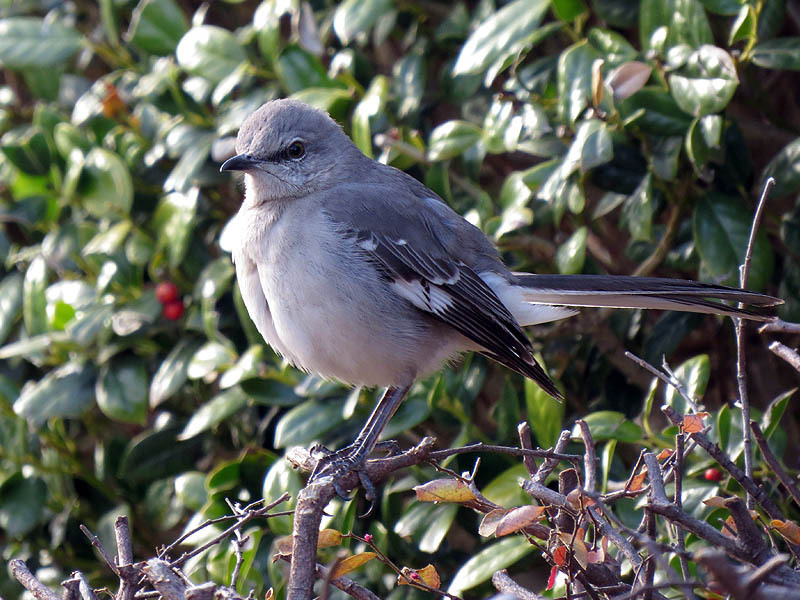 Another bird I have in my yard, and one you may have noticed in yours, is the Northern Mockingbird. 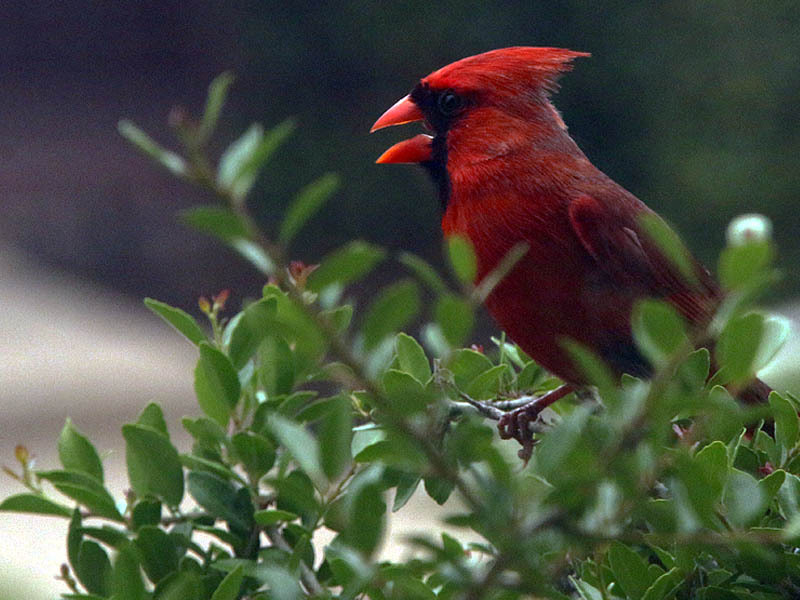 This, the State Bird of Texas, is noted for its wonderful varied and melodic call. On a clear day, Northern Mockingbirds will sit atop their favorite bush and sing their hearts out. We are about to hit our stride with song birds now. 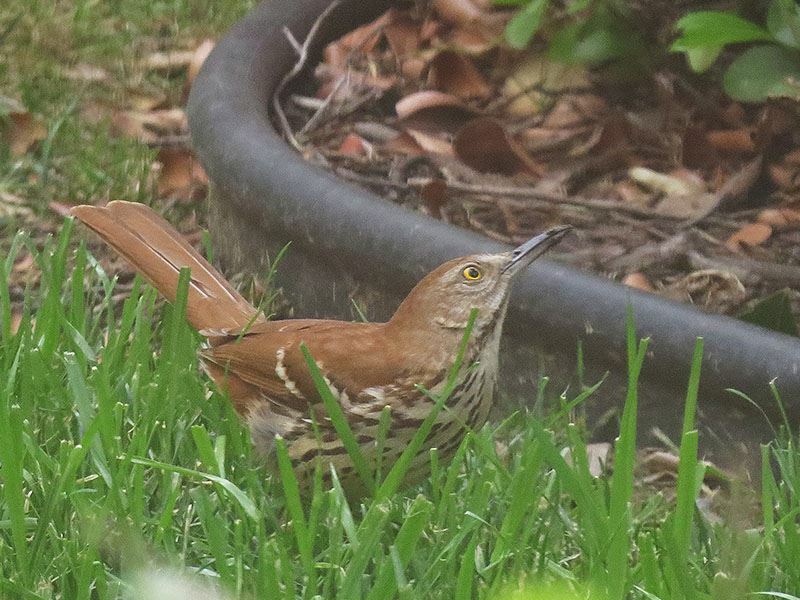 All of the following birds were photographed in my backyard, and you can certainly expect to find them in your yard as well. A well stocked bird feeder might offer a little insurance! Every couple of years we will have this odd occurrence in our neighbor. 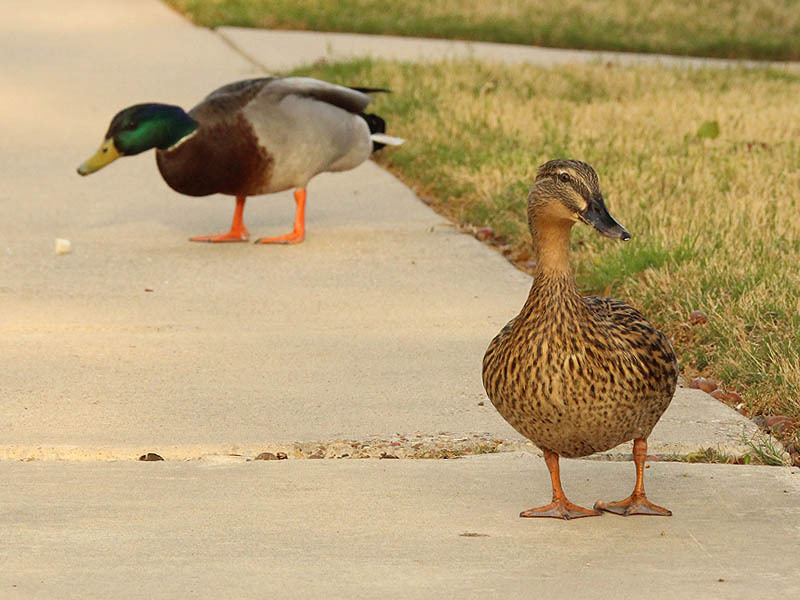 A pair of Mallard Ducks (some years its a trio) will just wander through our subdivision. Sometimes its a male and a female. Other times it will be two males and one female. 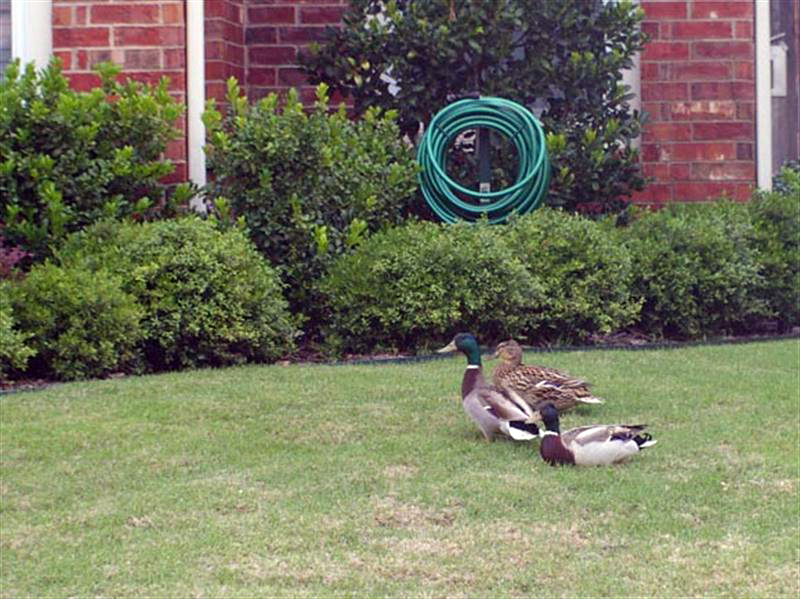 The ducks appear to be relatively tame, as they will often approach the people they encounter throughout the neighborhood. I suppose it’s likely the Mallards are coming from a local duck pond, where they likely have become used to being fed with some regularity. 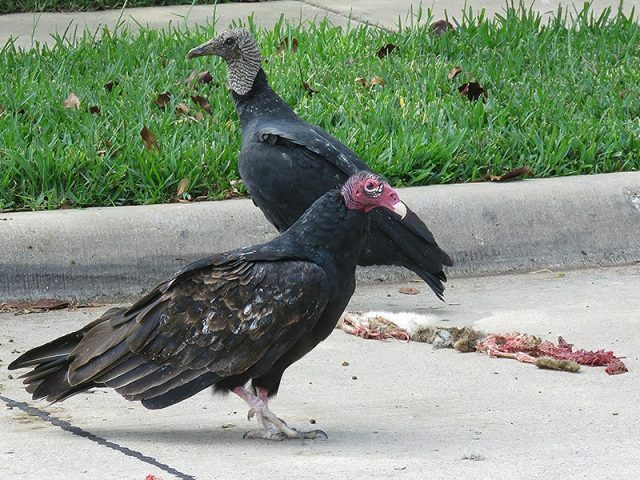 In North Texas we have two species of vultures that visit our neighborhoods in order to feed on roadkill and other carrion–Black Vultures and Turkey Vultures. Turkey Vulture front. Black Vulture behind. Turkey Vultures are unique among birds in that they have a well developed sense of smell. 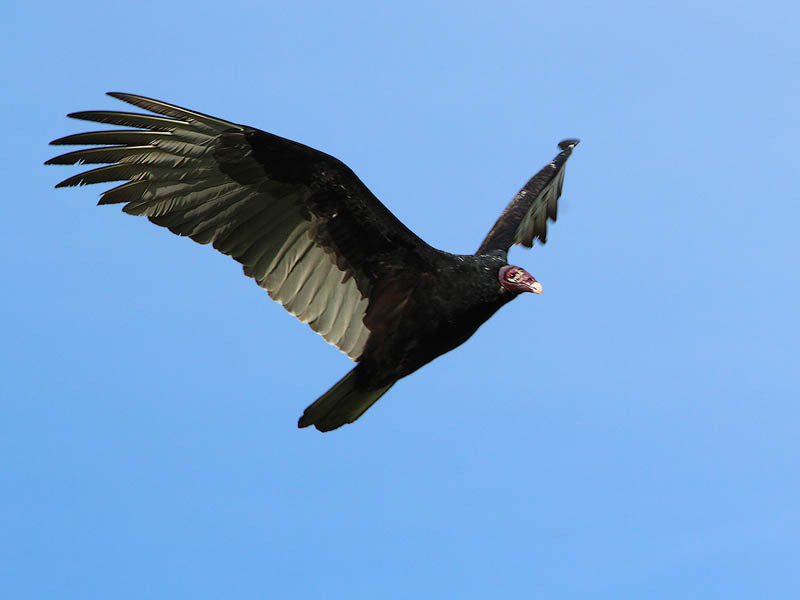 Their ability to follow a scent often helps Turkey Vultures locate roadkill shortly after an accident has occurred. Black Vulture–which rely primarily on sight–will often arrive only after they have noticed that the Turkey Vultures have found something interesting. Black Vultures are more gregarious than their Turkey Vulture cousins, and it is not unusual for a group of them to take over a roadkill site once they arrive. 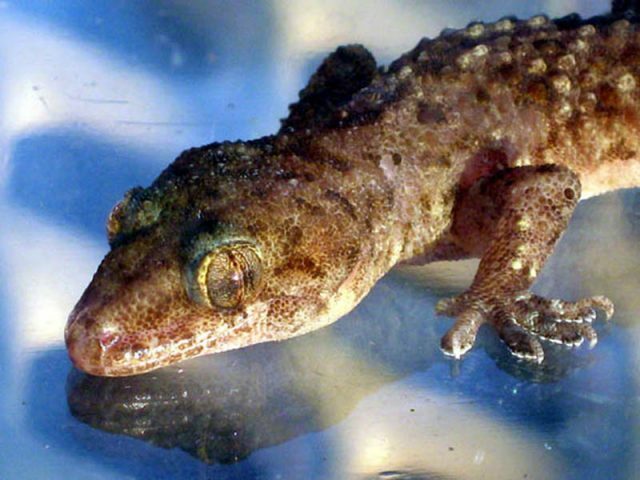 Like most neighborhoods in the Dallas/Fort Worth Metroplex, ours has an abundance of Mediterranean House Geckos. These small pink lizards are mostly nocturnal. They hide in the nooks and crannies around our house during the day and come out at night to feed. Skilled climbers, these lizards can usually be found on vertical surfaces–or even ceilings–near outdoor lighting. There they catch their fill of the insects that are attracted to the lights each night. 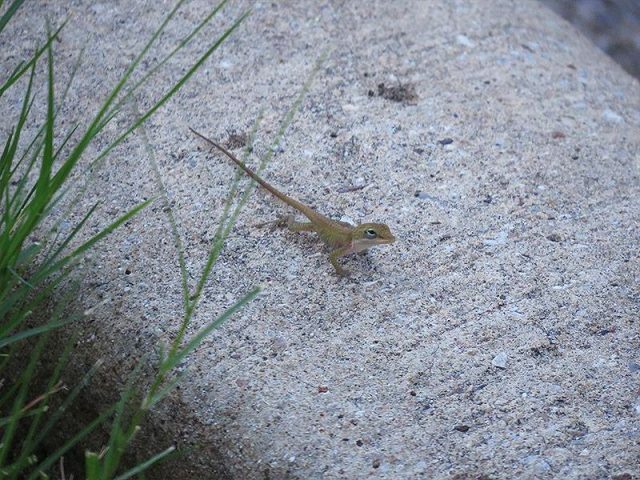 Another common lizard in North Texas is the highly engaging Green Anole. 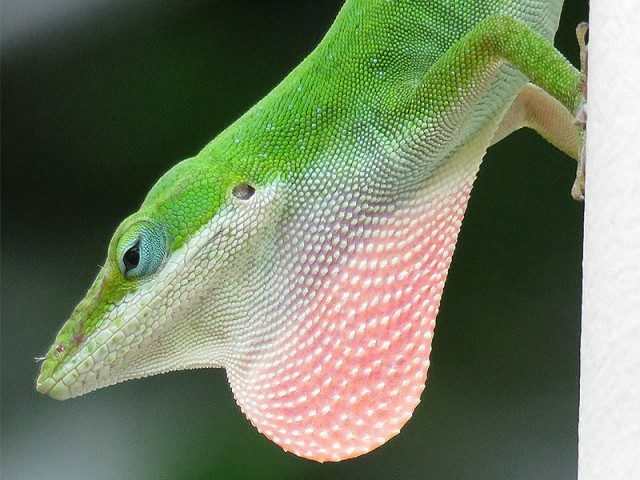 These charming lizards have a host of wonderful behaviors. Most notable among these is their ability to change color from a rich emerald green to a dull grey-brown, and back again. 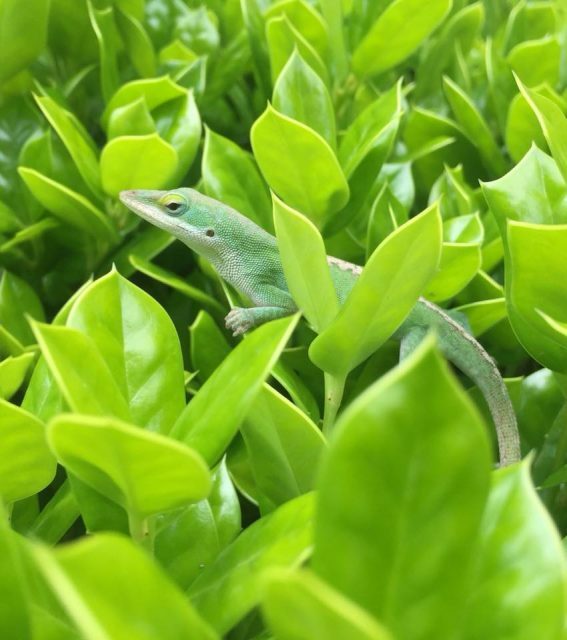 Juvenile Green Anoles might be noticed in your yard during the warmer months. 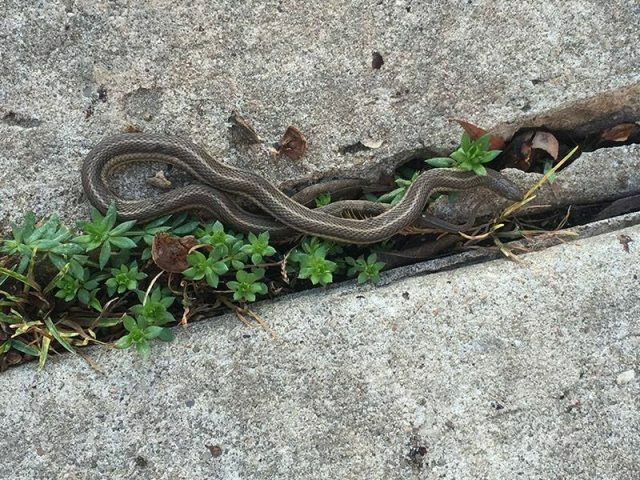 The one in the photograph below was found on our sidewalk, and is right around 2 inches in length, including the tail. Very dainty! 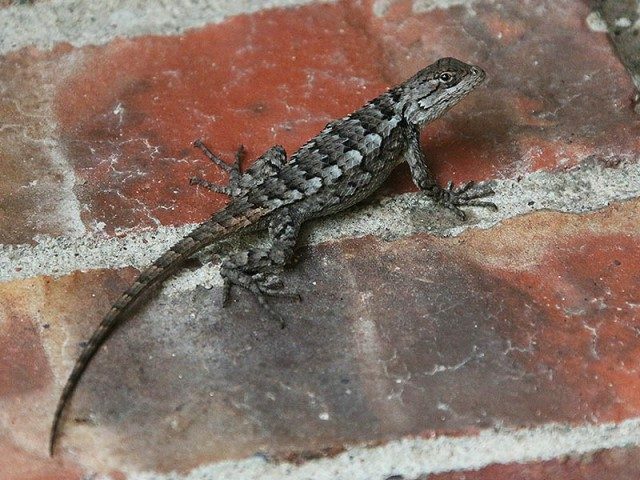 Another type of lizard you might encounter in the Metroplex is the aptly named Texas Spiny Lizard. These lizards are often found in trees or on fences where they stay busy hunting for their favorite insects. We’ve found a couple of snakes in our yard over the years, as well. 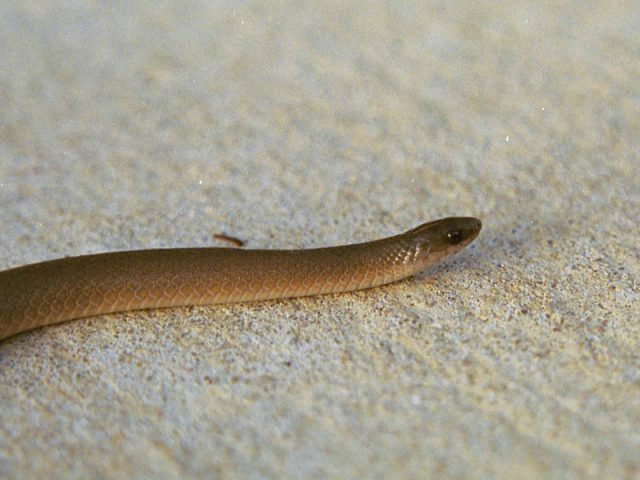 Below you will find pictures of two small, nonvenomous snakes that are common across much of the metroplex–the Texas Lined Snake and the Rough Earth Snake. Both of these snakes max out somewhere between 10-15 inches or so. Both feed primarily on earthworms. Neither are a danger to people or pets. Over the years these are the only two types of snakes that we have SEEN in our yard, but we have found clues that there may be others. Take the photograph below for instance. 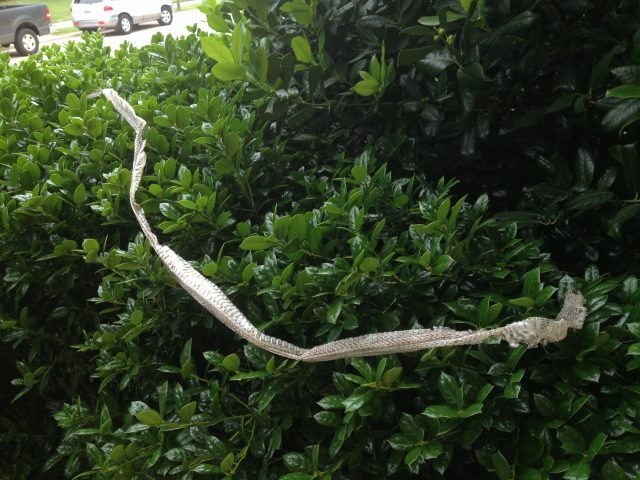 One morning we stepped outside on our way to walk the kids to school, and there in the bushes next to the patio, we found this three-and-a-half foot long snake skin that was most definitely not there the night before. The mystery snake skin. What kind of snake left this here? I may never be sure exactly what kind of snake left this skin behind in my bushes, but based on the size and location, my best guess would be that this came from a Texas Rat Snake. Texas Rat Snakes are very common in North Texas and can reach length of 4 to 5 feet or more. They are nonvenomous and harmless to people and pets. 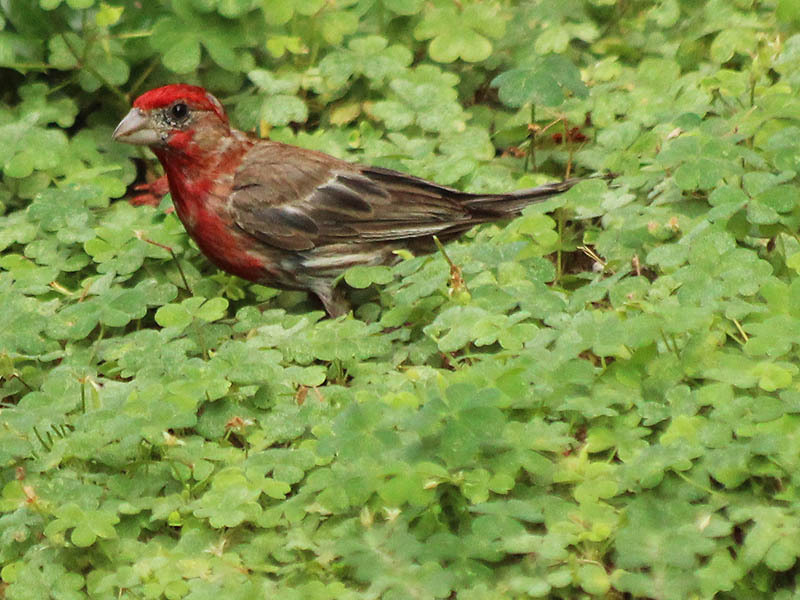 They feed primarily on rodents, birds, and lizards–all of which are plentiful in my yard, as you have seen. We also get turtles at our house from time to time. 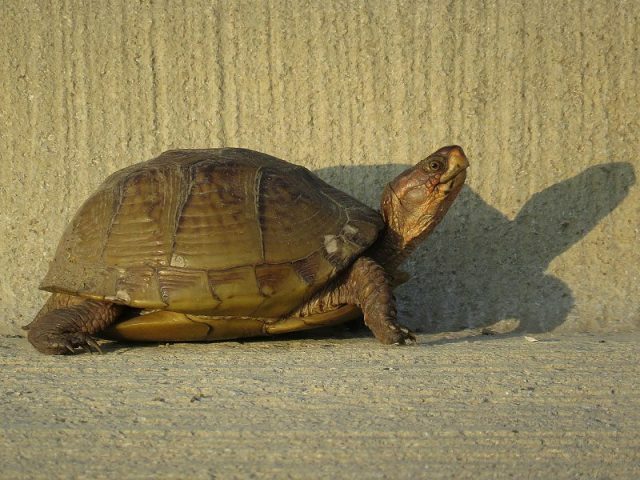 You might not be surprised by this first example–the Three-toed Box Turtle. Box turtles live on land, and other than concerns about their declining numbers, there is nothing out of the ordinary about one making its way through a suburban yard. 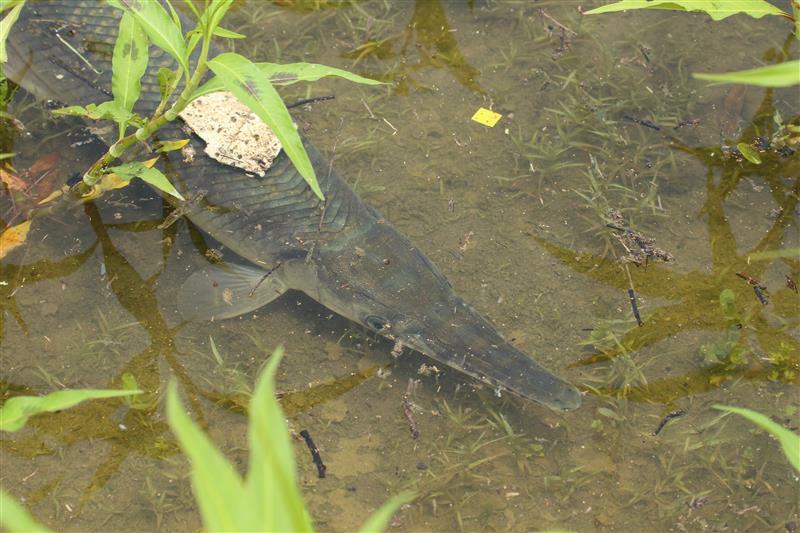 Water turtles, on the other hand, might be more surprising to find on your property, especially at first blush. But these turtles expand their range by wandering far and wide when the conditions are just right. A few consecutive days of rain and these semi-aquatic turtles will go on the move looking for a new pond or stream to call home. We met this very juvenile Common Snapping Turtle on the sidewalk one evening as we headed out for the nightly dog walk. 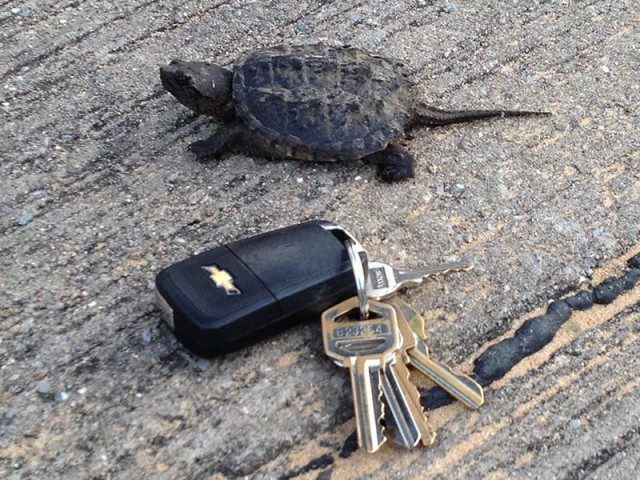 Just barely larger than my car keys, this little guy had traveled nearly a 1/4 mile from the neighborhood creek before we found him. We’ve also discovered a number of frogs and toads in our yard over the years. By far and away the most common of these has been Gulf Coast Toads. 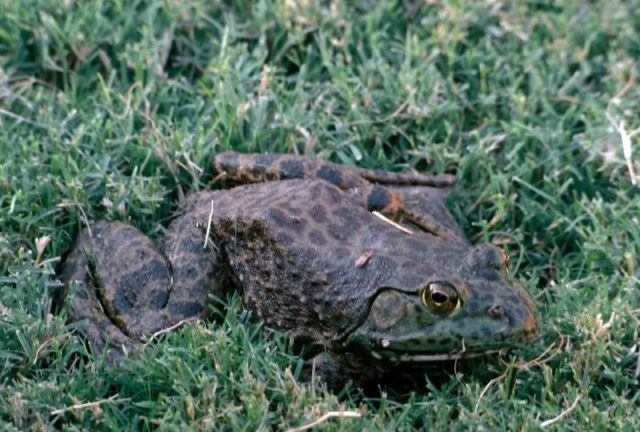 These toads may be the most frequently observed amphibians in North Texas. They come out at night, attracted to the insects that gather around street lights. 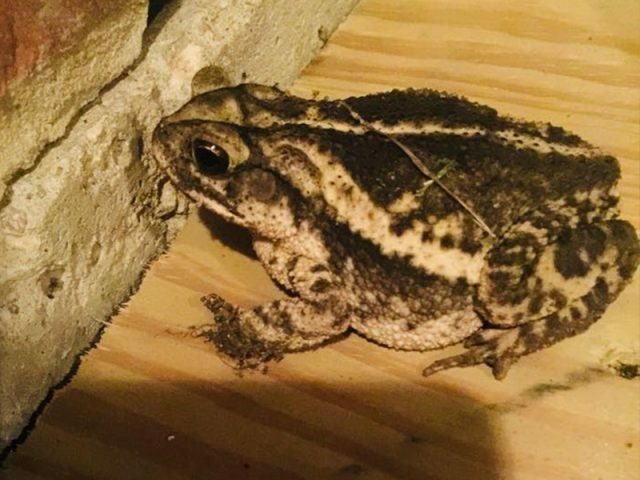 The toad in the picture below was discovered in our backyard, substituting our porch light for the more typical street light in this case. This is a bit puzzling for me, because even though adult Gulf Coast Toads are fully terrestrial, they still have to return to water to lay their eggs, just like all other amphibians do. From the time the eggs are deposited in the water, it takes around 28 to 30 days for them to hatch and the resulting tadpoles to metamorphize into toadlets. Since there is no standing water within a quarter mile of my home, that means the little toadlets have quite an arduous journey to make through the neighborhood in order to get to our yard. Judging from time of the year when I have found these toadlets, some must be making their way during the dog days of summer. 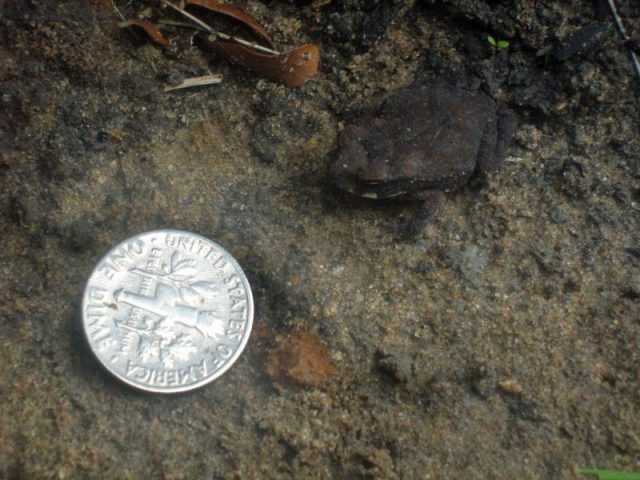 It’s hard to imagine how these tiny toadlets are able to successfully navigate concrete roads, alleys, driveways, and sidewalks without desiccating in the intense summer heat, but somehow they do. The final entry in this post is another amphibian that struck me as being more than slightly out of place in our yard. Pictured below is an American Bullfrog that I found tucked in under some of our landscaping shortly after we moved in. Bullfrogs typical spend their entire lives in the presence of a suitable body of water–a pond, lake, or swamp. Like I’ve mentioned, our house is quite some distance from any body of standing water, and that makes finding a bullfrog in our yard somewhat difficult to explain. When I discovered him, the big bullfrog was half buried in some soft, wet soil in a well shaded part of the yard. Surely, this is one of the ways American Bullfrogs deal with dry times when they come. I took a picture or two, and then left the frog be, hoping he would find a way to stick around. Unfortunately, when we came across him again a few weeks later his luck had run out. We found him in the middle of our backyard, expired, dried, and largely mummified. Evidently these frogs can only survive so long in the absence of water. Great menagerie there, Chris. 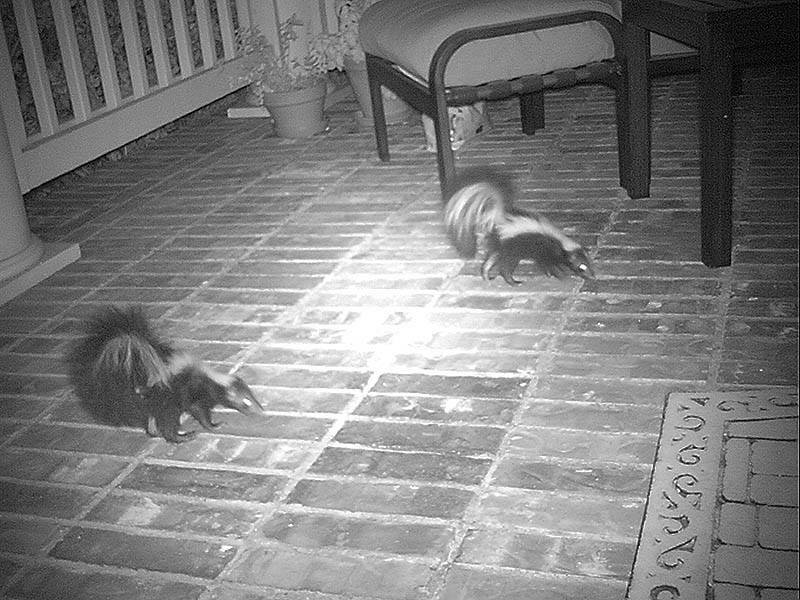 I’d forgotten about your patio skunks. 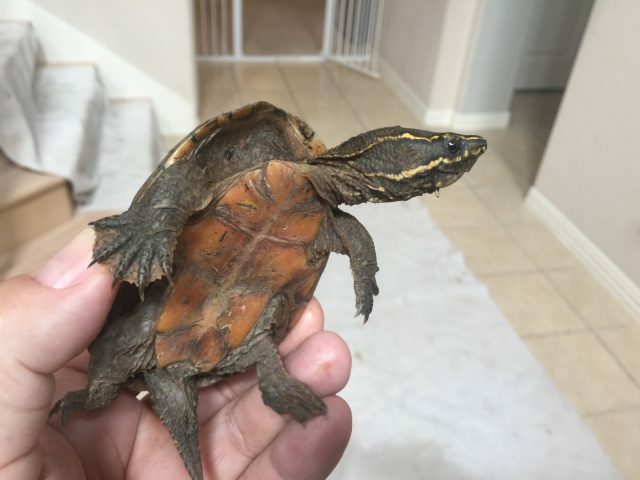 We’re still waiting for a Musk turtle to show up in our living room! I thoroughly enjoyed your entry about wildlife in your yard! Though I have a small yard and a little “cottage garden” in the back, I delight in seeing the different critters that visit. I always find it amazing that many people do not take the time to look or appreciate the nature that is out there. May we all live in peace with the animals! You have an amazing amount of wildlife in your neighborhood. I love look on the juvenile raccoon’s face. What is your favorite trail camera for use in a backyard? I assume your skunk photo was a trail camera?